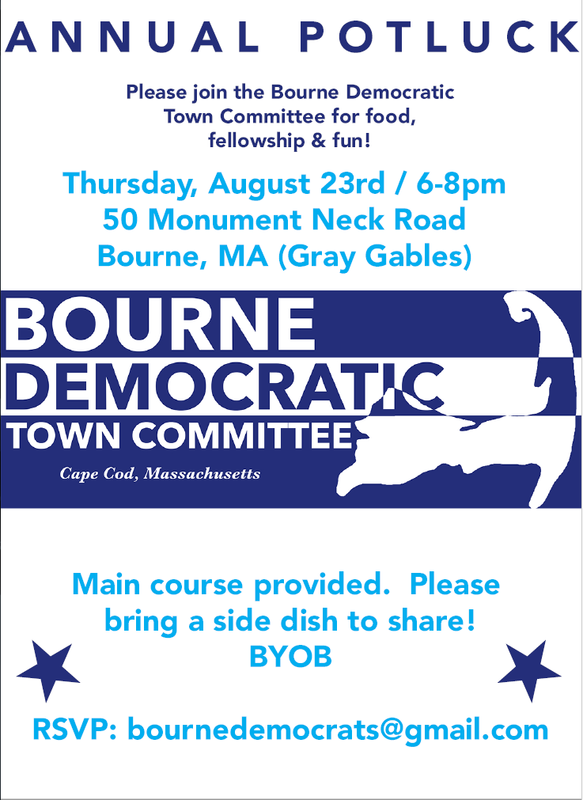 Aug 23 - Bourne - Please join the BDTC on August 23 at their annual Summer Party! Ronda and Aaron Tobey have graciously offered their beautiful Gray Gables home for our Party. Catch up with old friends, make new ones, and socialize with other Democrats and candidates for office as we head toward the Primary in September. Please RSVP to Kat or Amy so that we can have an accurate headcount. If you cannot see our invitation below, please click HERE to view the invitation online.